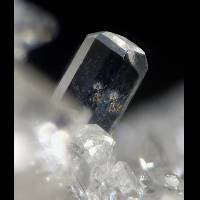 Named from the Greek word βάρος, meaning weight, due to its unusual heaviness for a non-metallic mineral. 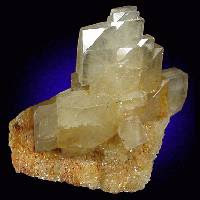 Barite forms as tabular and prismatic crystals which can be very large. 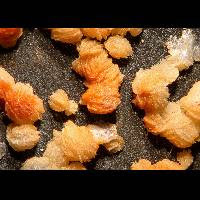 It also forms as small sand bearing rose shaped concretions called desert roses. Other habits are granular, fibrous, cockscomb, or columnar. 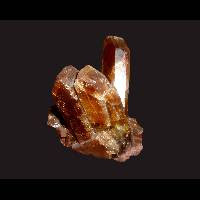 It forms in hydrothermal veins with a number of other minerals including quartz, calcite, fluorite, galena and many others. 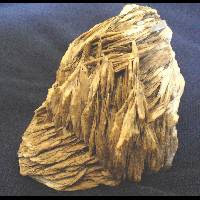 Barite also forms in clay nodules, in veins of sedimentary strata and around hot springs. It is insoluble in acids and some varieties are fluorescent.